Purrs & Grrrs is owned and operated by Marin + Dominiqué Cachu - yep, we're a husband & wife team! 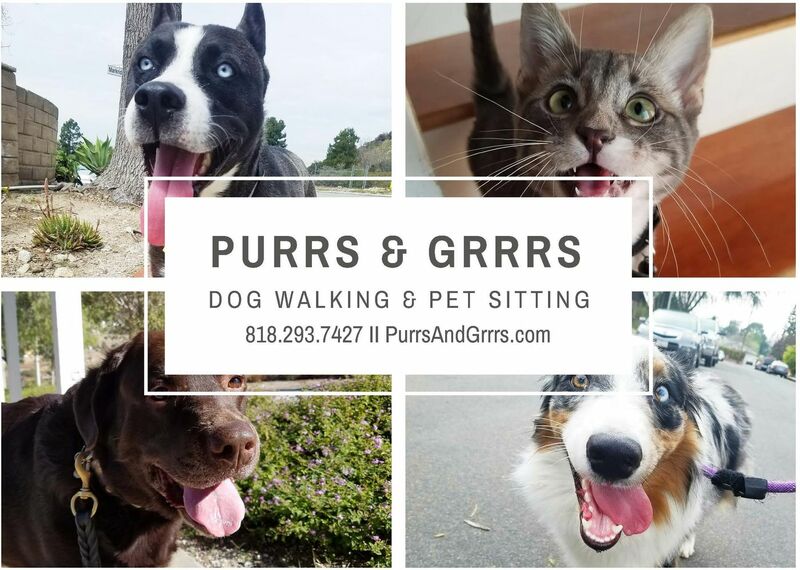 Purrs & Grrrs ® provide professional dog walking & in-home pet sitting services based in Sunland-Tujunga and the surrounding Foothills area. We're all about "Loving Pets and Their People"! We partner with pet owners to help give their animals the best life possible by providing the best attention and care. Whether it's regular dog walks for your pup while you work or pet sitting while you go on vacation, we'll be there for you and your pets when you need us the most! Text/Call 818.293.7427 or email us at info@purrsandgrrrs.com - we'd love to have you join the Purrs & Grrrs family!